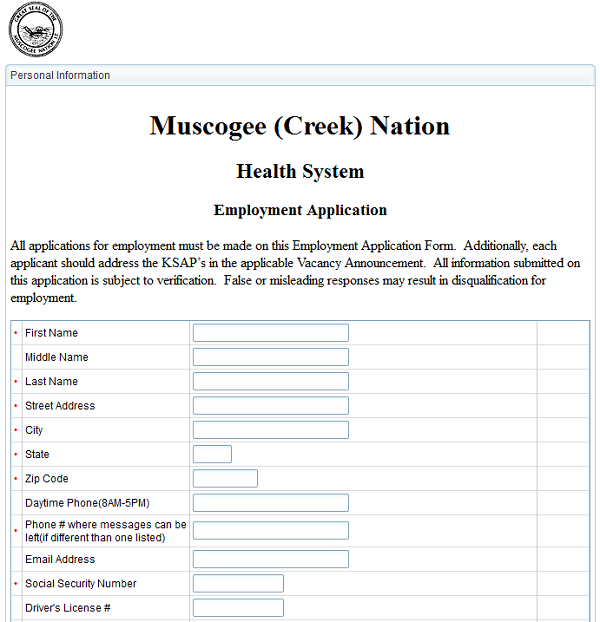 The Muscogee (Creek) Nation Department of Health employs more than 1,000 people in multiple offices spread out over a wide area. This means that a large number of documents and files are processed and accessed regularly. 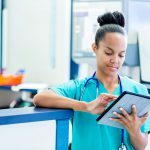 Here is how the department has made almost all HR functions paperless by integrating Laserfiche with LincDoc. Once the position is approved, it is posted online. Applicants can apply by filling out an electronic job application form. 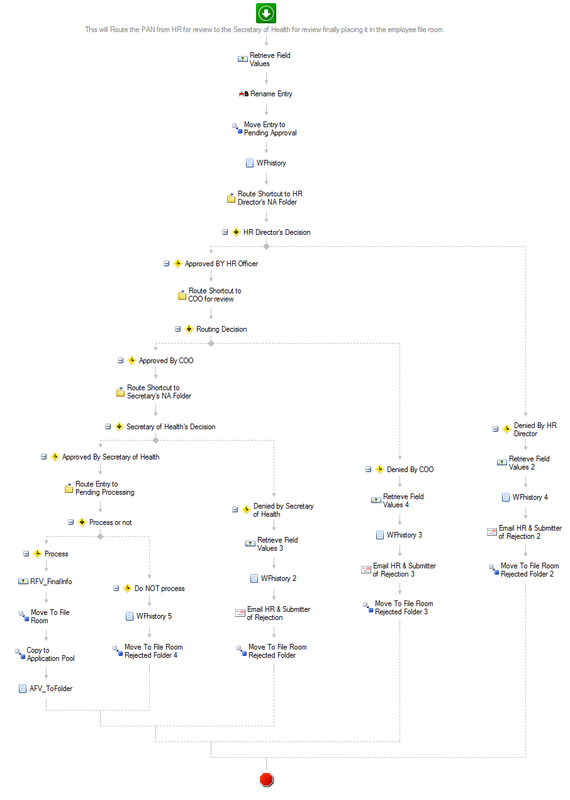 Laserfiche Workflow routes the application to the Application Pool folder. The hiring supervisor looks through the candidates and schedules the interviews. After the interviews, the hiring supervisor either recommends hiring the candidate or rejects the candidate. He signifies his decision by updating the value of a metadata field. This action triggers Laserfiche Workflow to route the application through the various approvers. If a candidate is selected for the position, an email is generated and sent to all the other candidates notifying them that a selection has been made. 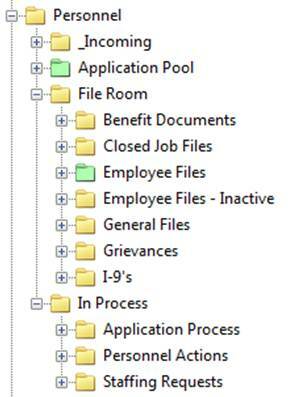 Here is what the folder structure looks like. An employee submits a travel request by filling out an electronic form, which is automatically saved in Laserfiche. Once the travel request is approved, it moves to the Pending Processing folder, where it waits to be processed by the travel coordinator. Once processed, it is moved to the Pending Booking folder, where it waits for the hotel and flight information. Once the flight and hotel have been booked, the travel coordinator changes the value of a field, which triggers Laserfiche Workflow to move the form into the Pending Advance folder. When the employee returns from his travel, he fills out an expense report online. 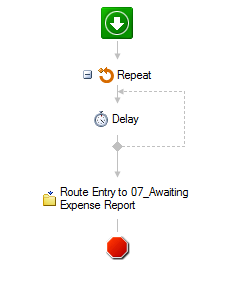 Incoming expense reports are moved to the Incoming Expense Reports\Pending Processing folder. 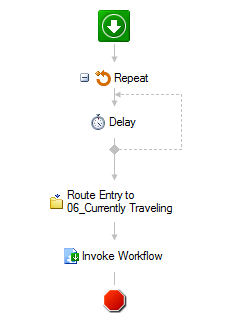 Laserfiche Workflow also finds the corresponding travel request and creates a link between the two documents. Once the expense report is processed, it is moved to the Expense Reports\Awaiting Approval folder, where it awaits approval for cutting a check. 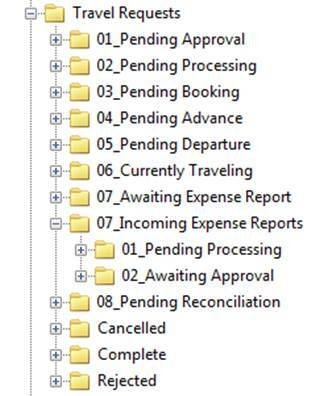 Finally, the expense report is moved into the Pending Reconciliation folder. After it is reconciled, it is moved to the Complete folder. If everyone is at their computer when the process kicks off, documents are approved in as little as five minutes. In the past, it would take at least a day just to send the document to the main office from another site. The whole approval process would take a week or more—even if everyone was in the office. Managers can log into Laserfiche on any given day and quickly see how many employees are out travelling, where they are and when they’ll be back. 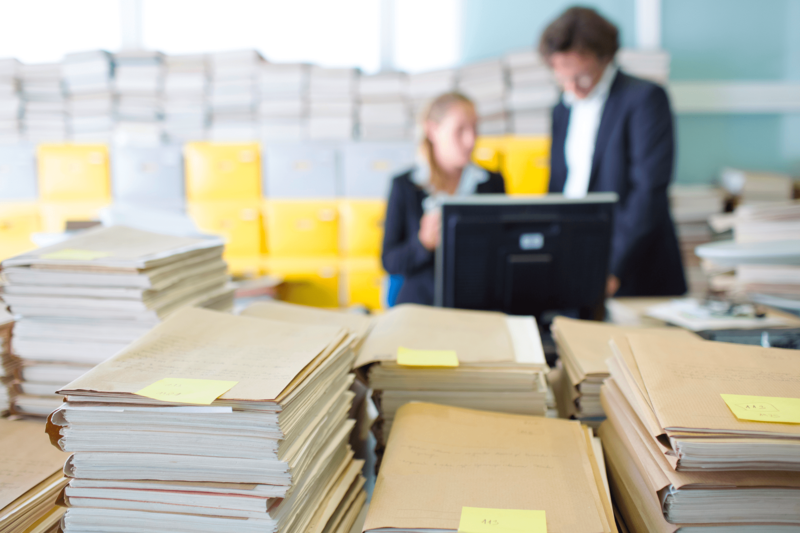 Before Laserfiche, if someone needed to look at an employee file, he would either have to come to the main office in person or get it delivered. Deliveries by courier would take up to three days. Today, authorized people can view that information instantaneously. 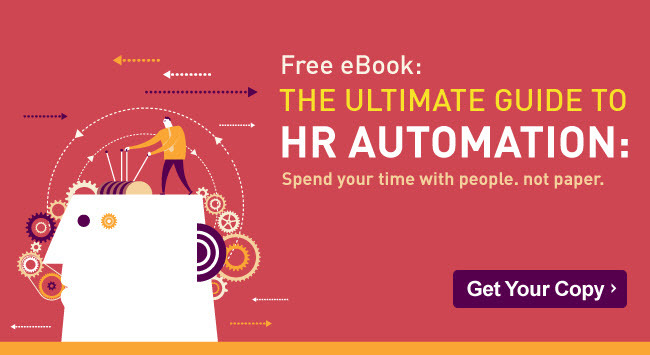 Learn how to transform your HR department by downloading the free guide to HR automation.